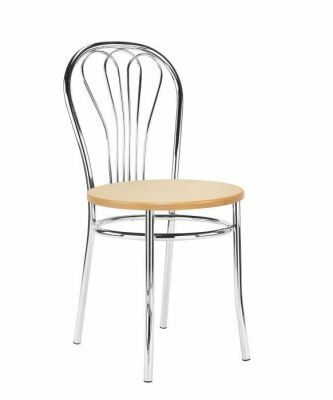 Metal bistro chairs with a heavy duty steel frame available in a choice of four finishes and a wooden seat offered in nine further finishes. Manufactured in Europe for a 20 day lead time. 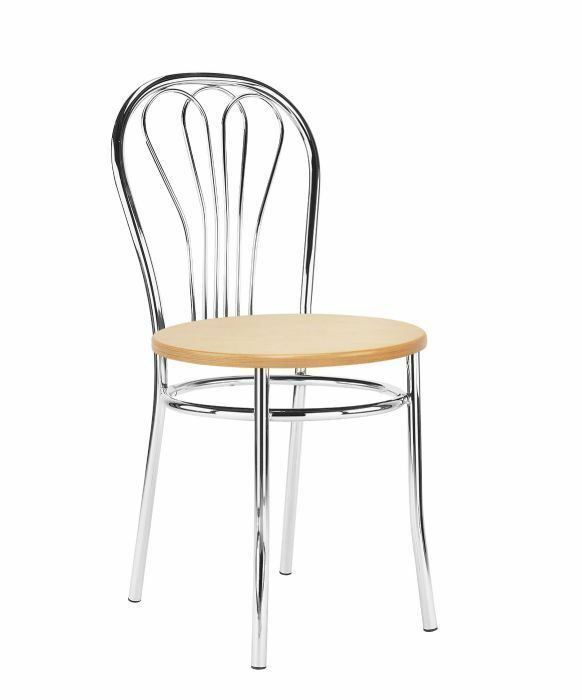 Attractive and sturdy chrome frame bistro chair with feature back design. Manufactured in Europe to a very high specification, and designed for use in commercial interiors. As this is a made to order item the lead time is approximately 20+ working days.